Fiona recently accompanied William & Charles at their SmartGov Virtual Conference hosted at Stirling. In between tweeting the discussions of the conference, Fiona was really interested to know more about Smart Cities, so she asked Charles & William to explain what a Smart city is and shine an ‘intelligent’ street light on their current research in this area. A key feature of the Smart city is about incentivising and engaging the ordinary citizen to participate in the life of the city, through new technologies, in ways in which they may not have tried before, including taking part in decision-making, or shared learning. For example, this could be through a city app on their Smartphone, sometimes called a ‘city dashboard’, allowing them to access city information about traffic or air quality, or even to make a leisure class booking. Most Smart cities organise public ‘hackathon’ events, where teams of people compete against each other, and use open data and other information over the course of perhaps two days, to try to develop innovative ICT solutions such as new websites, or apps, which can be used to help in dealing with societal issues. Citizens may change their behaviour in relation to home energy usage, through the use of Smart meters, and increasingly, health services are using a ‘gamified’ approach to patients monitoring their own personal health, by having targets and rewards in the same way as activity ‘trackers’. Some Smart cities use ‘fablabs’ (fabrication laboratories) where experimentation with new technologies might take place, with the emphasis being on community-based shared learning. In other cases, citizen engagement may be involuntary, as in the case of ‘intelligent’ street lighting which is switched on only when a movement sensor detects someone walking close by. Citizens’ lives and relations with public agencies are increasingly occurring in the digital world, which, combined with the growing availability of publicly available open datasets, containing performance and demographic information, are creating new engagement opportunities for citizens. Our research project, which started in October 2015, is funded by the Economic and Social Research Council (£280k), and takes place through the Centre for Research into Information, Surveillance and Privacy (CRISP), based within Stirling Management School. 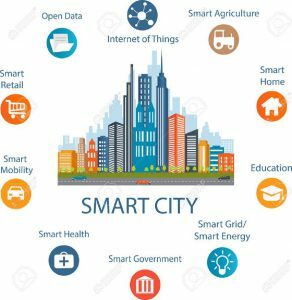 The research project is called ‘SmartGov’: ‘Smart Governance of Sustainable Cities’[ii], a four year collaborative research project on the value of ICTs for engaging citizens in governance of sustainable cities (2015-2019). The three project partners are Utrecht University, (Netherlands); University of Stirling (United Kingdom), and Fundação Getulio Vargas, Sao Paolo, (Brazil). Participation in decision-making (or governance as it is sometimes called) might take place when citizens or citizens’ groups are invited by public bodies to engage with them to provide suggestions and views, for example about a new Council policy, or where to invest funds in new cycle paths or traffic calming measures, or how best to use some derelict spaces for a temporary period – perhaps urban gyms, pop-up gardens, or temporary art such as pop-up sculptures. [iii] Where participation occurs using ICTs, social media, or online questionnaires, and citizens’ views are helping to co-produce services and public policy, we call this Smart governance. When these forms of participation between local government and citizens produce tangible results, or ‘softer’ outcomes such as the building of trust and good relationships, this is known as ‘co-production’ which is dependent upon the input of both parties. Research into the processes surrounding Smart governance and co-production are of primary importance to our research project. Looking into the future, interactions between service providers and citizens will be increasingly digitally-based, where the newly empowered citizen has the opportunity to use ICTs and open data sources to participate in policy-making, decision-making, and shared-learning in ways which were unavailable previously. The SmartGov project will provide insight on these areas for public bodies, practitioners and citizens using comparative analysis from the three case study cities: Glasgow (UK), Utrecht (Netherlands), and Curitiba (Brazil). 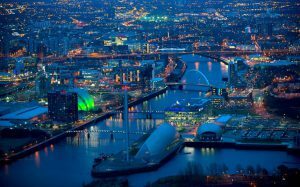 [i] Scottish Cities Alliance: https://www.scottishcities.org.uk/. This blog was also published at the blog of Urban Transformations, the Research & Innovation blog of Stirling University and at the CRISP website.